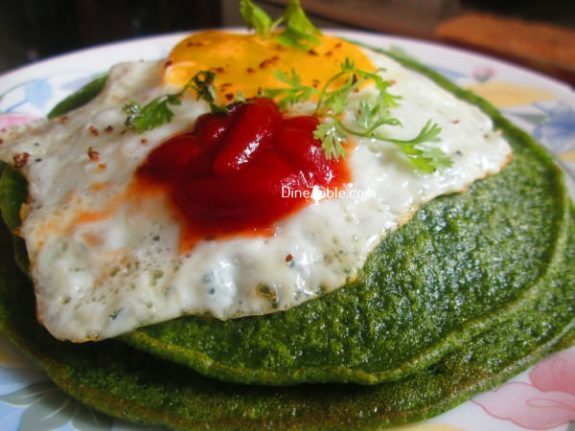 Cilantro and Spinach Pancakes are savoury pancakes that get its beautiful colour from the cilantro and spinach in the batter which also provide a beautiful flavour. 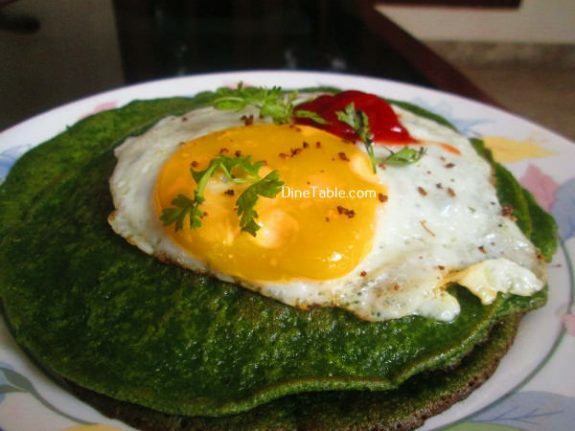 This is served with tomato sauce and a perfectly fried egg. 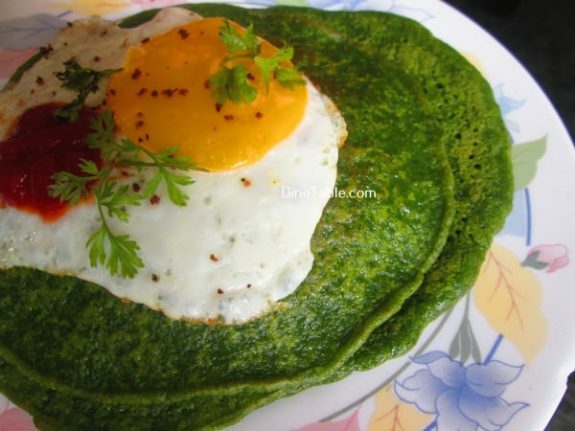 These green pancakes are easy to make and perfect for breakfast, lunch, a nice light dinner or just as snack. Spinach is a super food loaded with tons of nutrients in a low calorie package. 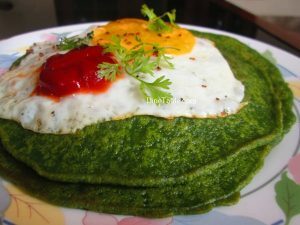 Dark leafy greens like spinach are important for skin and hair, bone health and also provide protein, iron, vitamins and minerals. 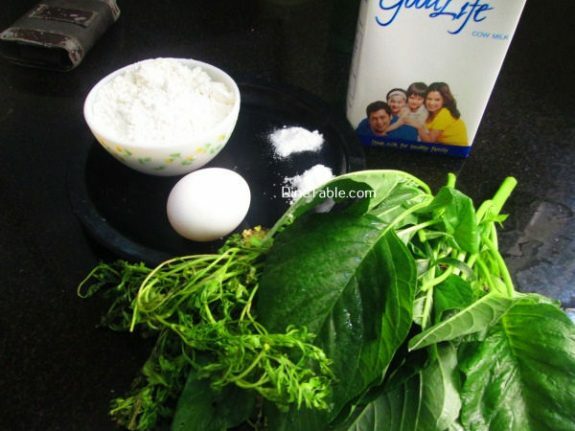 Beat egg well with a spoon and keep it in a small bowl. 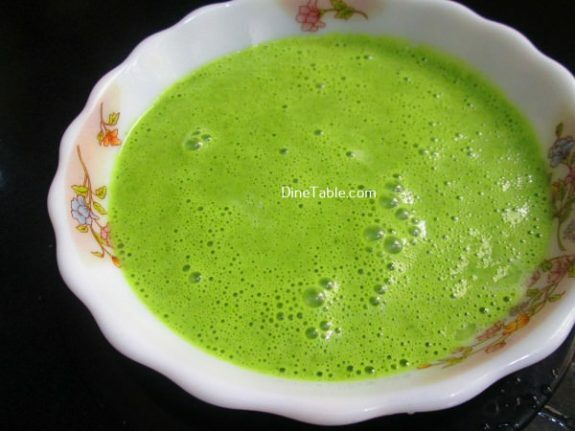 Take a blender and add all purpose flour, cilantro, spinach, milk, honey, egg, salt and blend until smooth. Keep this for 10 minutes. Heat a pan over medium heat and add coconut oil. 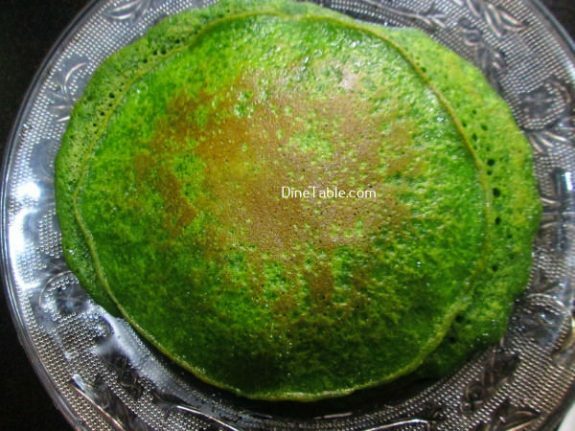 Pour two spoons full of batter on to the pan and cook until bubbles appear on the surface. 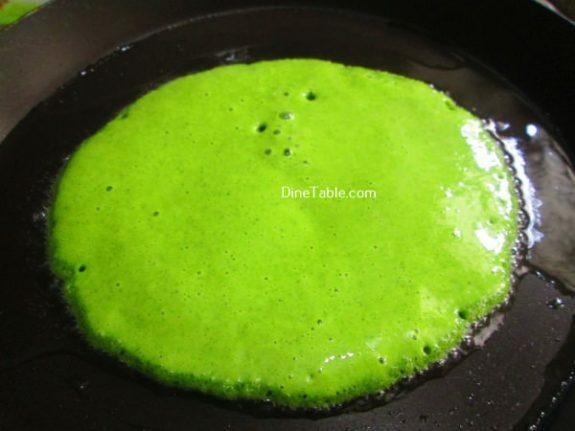 Flip with a spatula and cook until it turns brown on the other side. 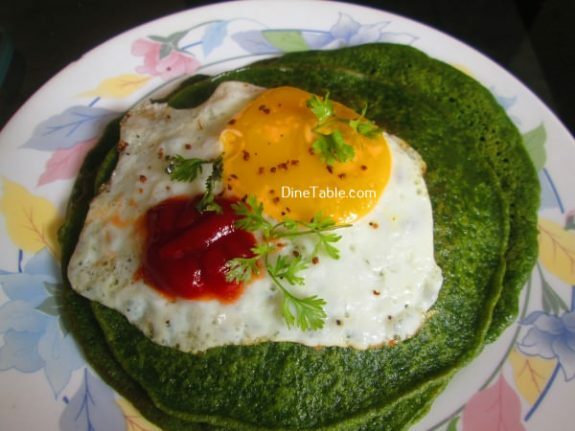 Tasty Cilantro and Spinach Pancake is ready. 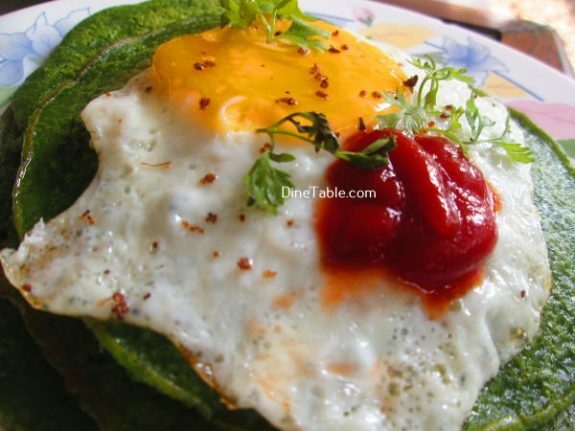 Serve with tomato sauce and a fried egg.